The largest marine store in the Lake pepin area. 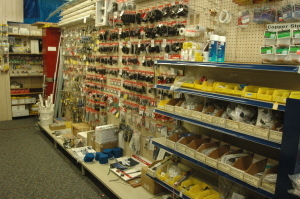 Parts Department and Ship's Store: marine cleaners, waxes, paints, electronics, hardware, engine parts (gas & diesel), plumbing, electrical supplies, sailing gear, rigging (standing & running) and docklines. Safety Gear: radios, maps, compasses, horns, first-aid kits, life jackets and much more. Also we carry: pop, ice, chips, candy and more goodies for everyone. 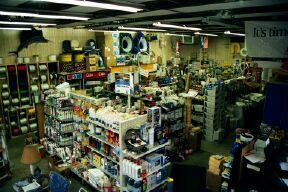 Hansen's Harbors Ship's Store offers a wide verity of boat care products. 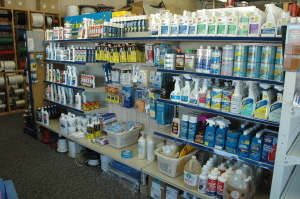 Fine products such as Nautical Ease, 3M, Amazon's, Star Brite, Meguiar's, Sikkens, Boat life and many others. 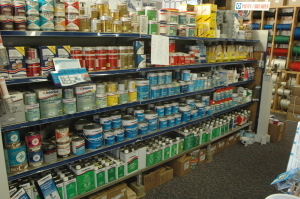 We also carry a complete line of painting products such as, Pettit, Interlux and Nautical. Plus paint rollers, brushes and all the stuff to make your painting job go smoothly. 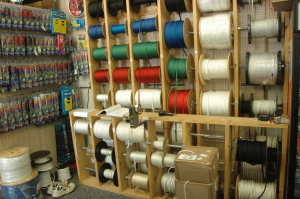 We carry a full line of sailboat hardware and rigging in stock. Blocks, pins, rigging (running and standing) and much more. 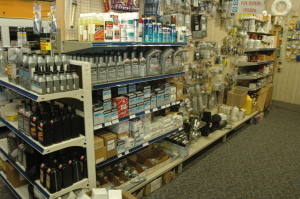 Lubes, filters and zinc along with engine parts for both gas and diesel are in stock at competitive prices.